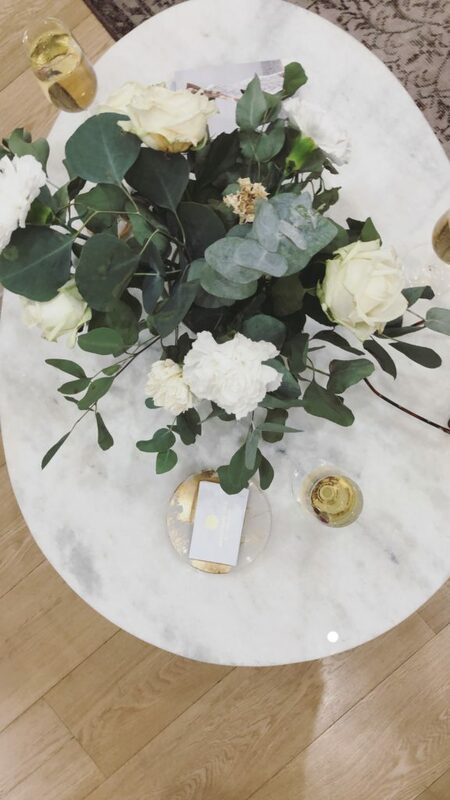 I was never into weddings – believe it or not. In fact – I and my fiance made a pack we’ll never gonna have a traditional wedding! We’ve always wanted to keep it intimated and to have it on the beach. Having your wedding on the beach does not change the fact you would actually need a perfect dress. Finding a beach wedding dress could possibly be an easy task – just a plain white dress would do the trick, don’t you agree? I am, however, a little more demanding. I am looking for something: classy, minimalistic, boho, chic, stylish, simple, laceless, backless, offtheshoulder – all in one. White. Dress. For my wedding, you know. The only thing you should forget about is: loads of layers. I have my wedding in a very exotic country, where the temperature is expected to hit over 35 degrees. I can’t have more than one layer unless it is something close to chiffon. My love for this brand started a while ago. 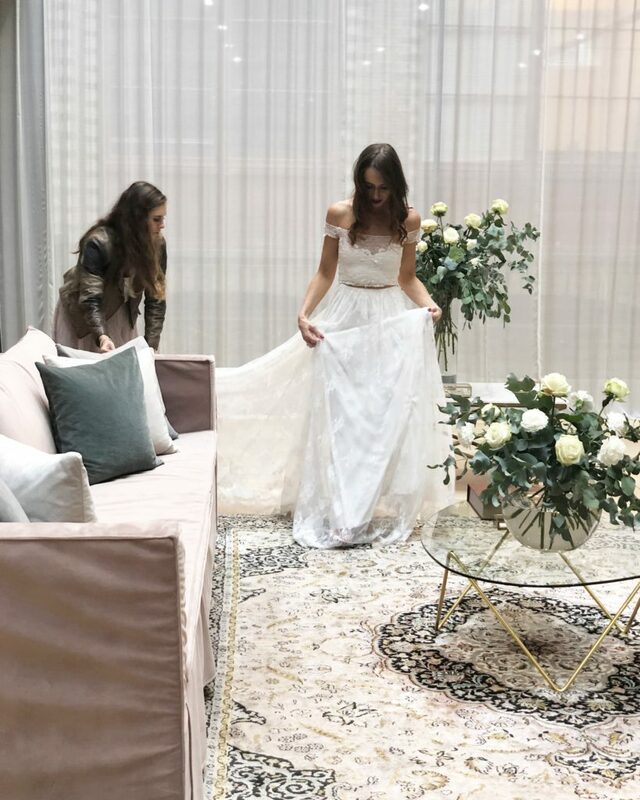 I followed Grace Loves Lace, an Australian bridal couture brand, on Instagram. I felt the vibe and I automatically understood what they try to communicate. Fewer layers, quality, effortlessly chic and timeless classics. 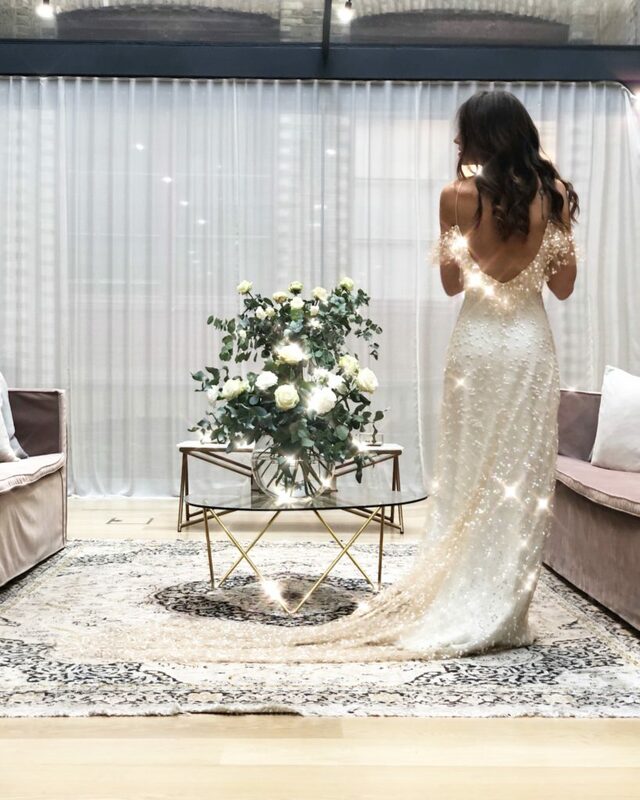 Would you buy your wedding dress online? I know many people do, but I am just not confident enough. I was over the moon once I found out they have a showroom in London! 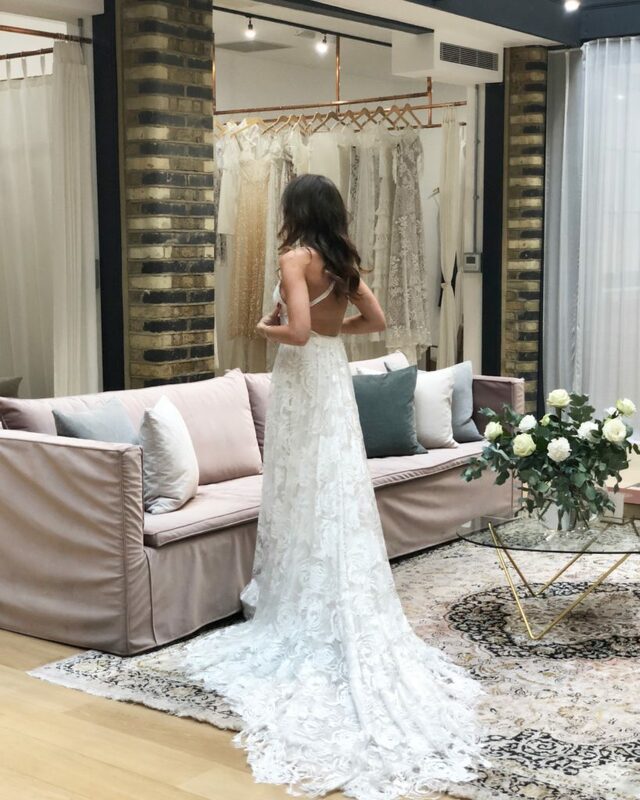 At the GLL Showroom you are allowed to try on up to five gowns ( I have two extra as we ended up having spare 20 minutes). You have to pick them up before you go. I went for my favorite Hollie 2.0 and four random pieces I was not expecting to… love so much! 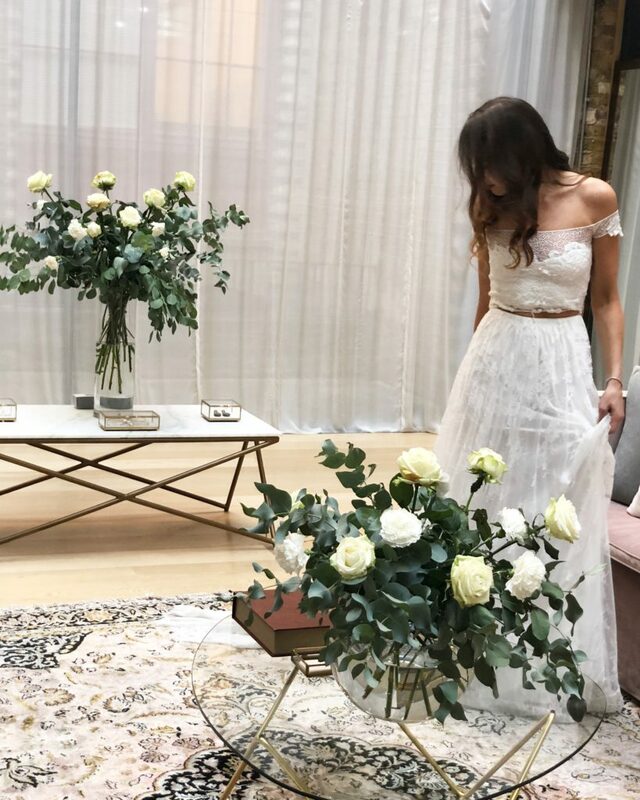 How would you pick your wedding trends? Do you care about the trends and tendencies? I managed to find and spot some of the key trends for you. I am a great fan of the ultra-feminine off the shoulder look. I wear such tops on an everyday basis in the summer. I assumed it would have been nice if the off-the-shoulder look will be my wedding choice, too. It has something super unique and lightweight about it. It comes in two pieces – a skirt and a top. I think it would make a great choice for the beach wedding, but…. not for me. Frills is another trend I am so happy to see on the international runways. It is such a delicate feature and adds the whole loads of character to a garment. It would look amazing against the turquoise water. I absolutely LOVE the back detail containing on this dress! How can someone not love the 30’s golden glamour era? It is my personal favourite period in fashion. The time of Golden Hollywood, Elsa Schiaparelli, Art Deco, Speakeasies and… golden gowns. Ahh, how I love this trend! 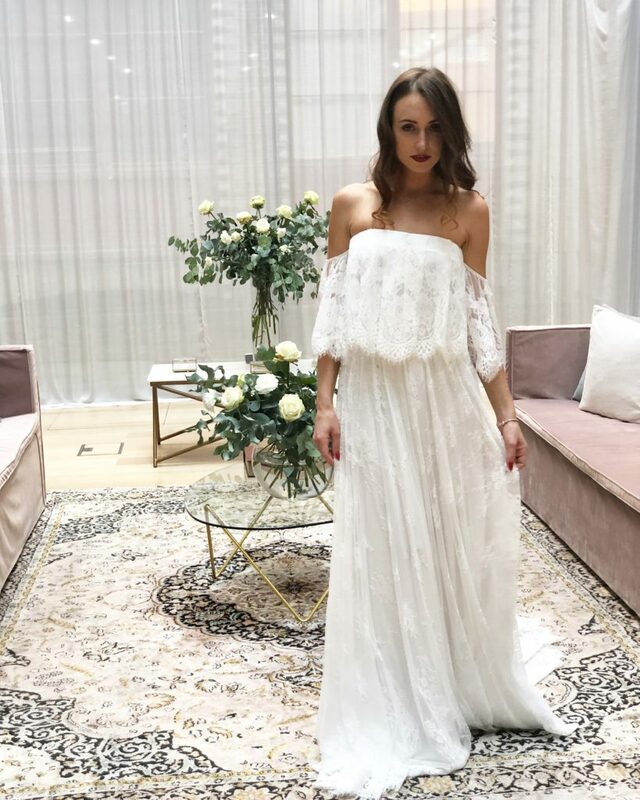 How would 30’s glamour wedding dress look like? Like old Holywood evening gowns- backless, sleeveless, long bias-cut dresses. This was the trend I was not too sure about until I tried it on. It is a perfect wedding dress for a laid-back lady, who does not really like to look ‘updressed’. It is going to be a huge thing in 2019! 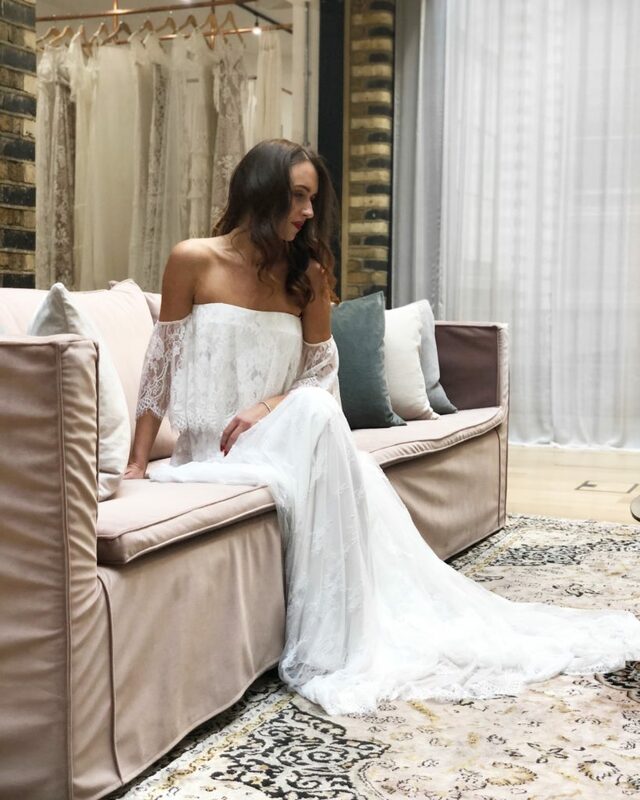 Bridal fashion seems to experiment with new styling solutions that are closer to daywear choices and key trends. Good to know! Guipure is a type of bobbin lace. Very fashionable and popular these days. It connects the motifs with bars or plaits rather than net or mesh. Guipure makes a boho effect for sure. It is also, the way I see it, very elegant and classy. I am fond on guipure as my granny wore it to her wedding in the 60’s. Trends are important, but it is ‘YOU’ who is going to choose the one and only. 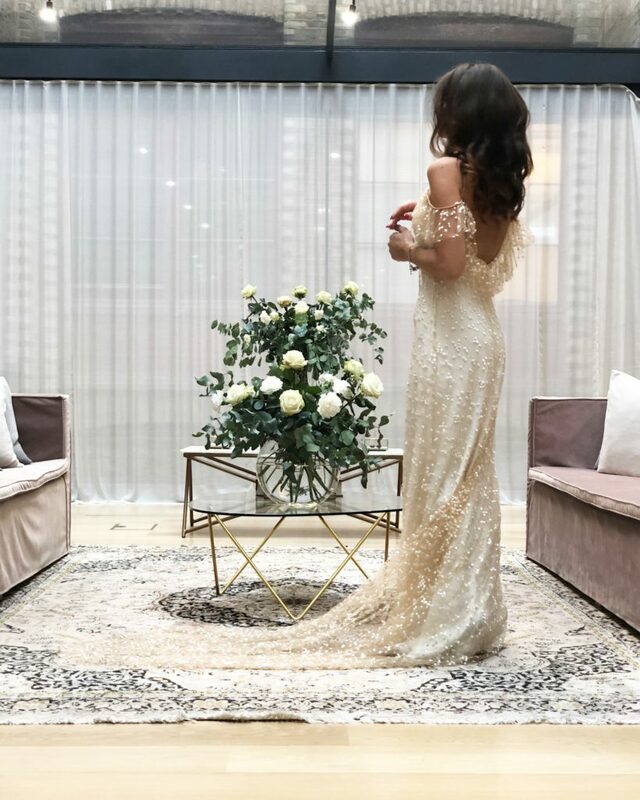 I think every bride-to-be should analyse her own silhouette, the shade of white/beige and the fabric and create a beautiful piece for herself. 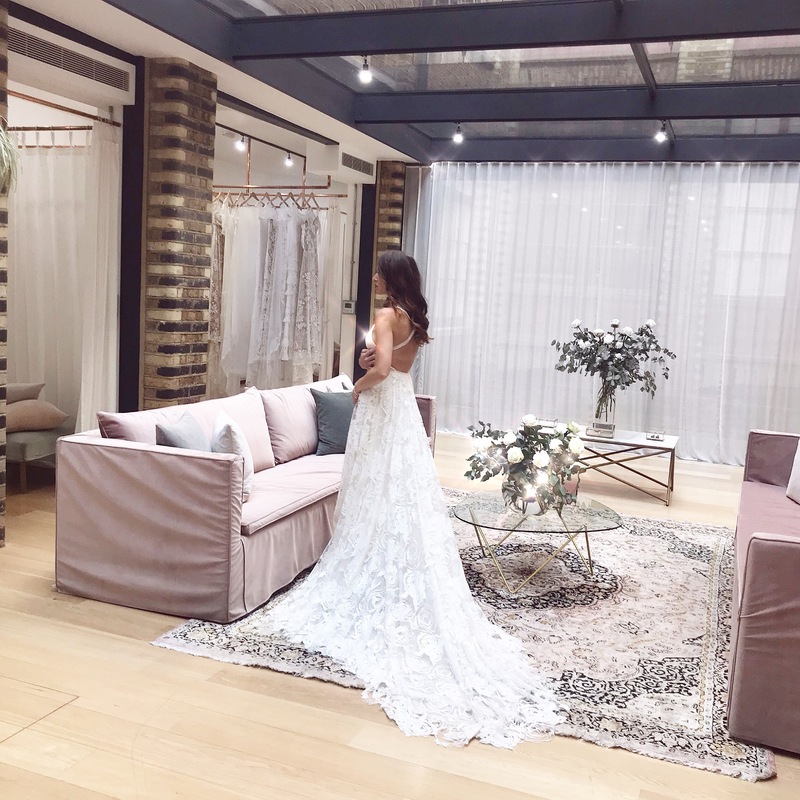 What I’d recommend is to take some time, do an online research for wedding dresses, scan Pinterest and Instagram for an Inspiration. 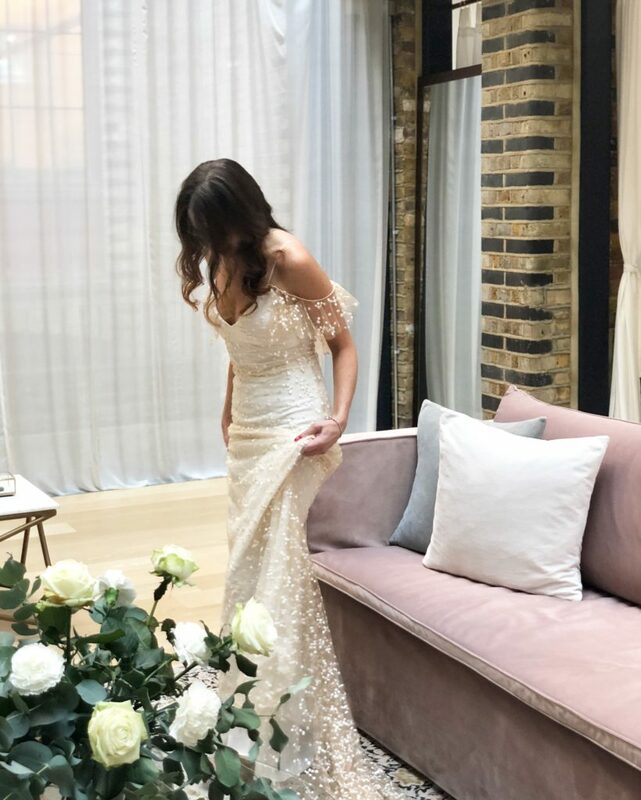 There is the National Wedding Show taking place in major UK cities and I am sure there are loads of similar parties elsewhere. It might be a good idea to just pop in in order to find an inspiration. Finally, you could also browse through my latest destination wedding posts from Mallorca, Marrakech, Tuscany and Greece. Perhaps you would find something you were looking for in there? Santorini Wedding – How much is it? Is it overrated or a dream-come-true? great post and bautiful photos. I also think that there is no reason to do a big wedding like everyone else. Pingback: Santorini Wedding - How much is it? Is it overrated or a dream-come-true?